Since we launched our investigation of animal circuses in South America in 2007, bans have been secured in Bolivia, Colombia, Ecuador, Paraguay and Peru. But now we face our greatest challenge – we must ensure the new law is enforced in Peru. Getting the law passed is one step – getting the animals safe is the next! 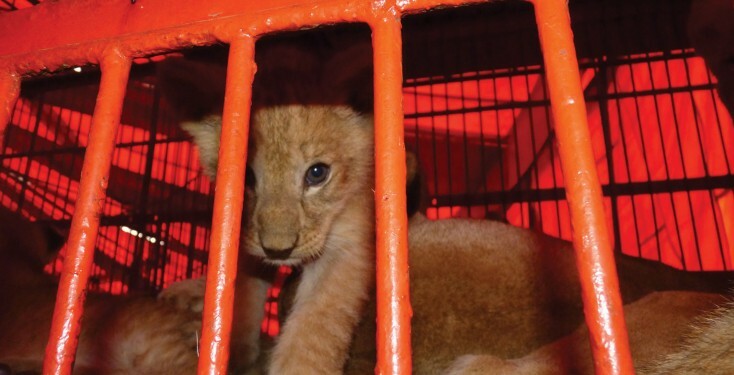 ADI and the Peruvian authorities are ready to go with OPERATION SPIRIT OF FREEDOM! Preparations are underway to ensure we can rescue a very large number of animals. IF YOU HAVE EVER WISHED THAT YOU COULD EMPTY THE CAGES OF EVERY CIRCUS IN A WHOLE COUNTRY, NOW IS YOUR CHANCE! Some of the most heart-breaking scenes that we have ever witnessed have been in circuses in South America. Animals living in terrible, deprived and disgusting conditions, being brutally abused. In Bolivia, the law was passed but the circus owners defied the law. Luckily ADI was there. We tracked down every circus. We saved every animal. Now we must do the same in Peru. Saving lives costs money, we need your support. Please if you can make a donation today. animals belong in wild not in cages .. This is horrible. I will never go to or take one of my grandchildren to a circus EVER!!! It is with deep sadness and yet gratitude to realize that this remarkable animal had the opportunity to be returned to his natural environment and died there in peace. No wild animal should be kept in captivity for the enjoyment of human beings and be left all alone and isolated in a circus environment. We have made great strides in preventing wild animals to perform in a circus. I hope the time has come when we can allow wild animals to live in peace, the way we want to live. Farewell Toto! One of the most touching stories I have ever seen or heard. I fell in love with gentle, wise Toto and loved how he was able to spend out the last years of his life. I hope Karma visited the horrible people who tortured him and allowed him to be so mistreated while in that circus. Rest in Peace, gentle giant.